Here's a look at how your baby’s vision develops throughout the first year. The day he is born, your baby sees the world as a blur. His eyes are 25% smaller than that of an adult, and his depth perception is roughly 20/400, which means he's basically nearsighted. This early on his visual acuity allows him to recognise the very basic colour palette of black, white, gray and red, and he won't be able to produce tears until his third week of life. Month 4 – 6: Your baby starts to reach for the mobile or toys you hold in front of him. Your baby’s vision, depth perception and understanding grows. Month 6 – 8: Entice your baby visually with a toy to encourage rolling over. Month 8 – 12: Vision is very important when your baby is learning how to crawl, cruise and walk. Remember that depth perception is still maturing, so tumbles on uneven surfaces are common. Babies this age won't understand that the steps lead down, or the edge of the bed leads off into empty space. Your baby’s eyes will be checked at birth. High-risk newborns (including premature infants), those with a family history of eye problems, and those with obvious eye irregularities should be examined by an eye specialist. Your baby’s eyes should be checked at each clinic visit throughout the first year. To children with vision problems, the world is simply a blurry place. And because these children aren't aware of how things should appear, their parents may be oblivious to the problem too. If you notice a problem, go to the doctor so that it can be monitored and dealt with if necessary. If a baby has this problem, babies’ eyes may be turned in, turned out or not working together. This condition can develop during infancy. Your baby might have it if her eyes jump, wiggle or move back and forth. Nystagmus may be inherited. 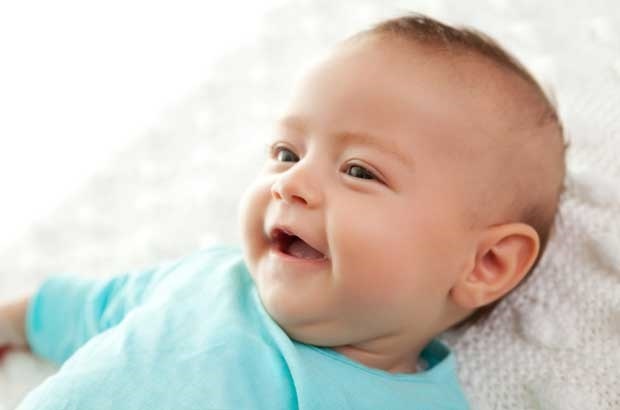 Babies with nystagmus may have normal vision or poor vision. This is poor vision in an eye that appears to be normal. If untreated, amblyopia can cause irreversible visual loss in the affected eye. A malignant tumor that may appear in the first 3 years of life. The affected eye may have visual loss and whiteness in the pupil. A gradual clouding of the eye's lens that even a newborn can develop in rare cases. In infants - a rare condition that may be inherited. It is the result of incorrect or incomplete development of the eye drainage canals before birth and can be treated with medication and surgery. If your family has a known history of genetic eye disease, it’s important for kids to have eye exams at an early age and regular screenings. This means that the shape of the eye doesn't bend light properly, so images appear blurred. Nearsightedness is poor distance vision. Farsightedness is poor near vision. Astigmatism is imperfect curvature of the front surface of the eye. Has your baby had any trouble with his eyes? Have you had your baby's eyes examined yet?